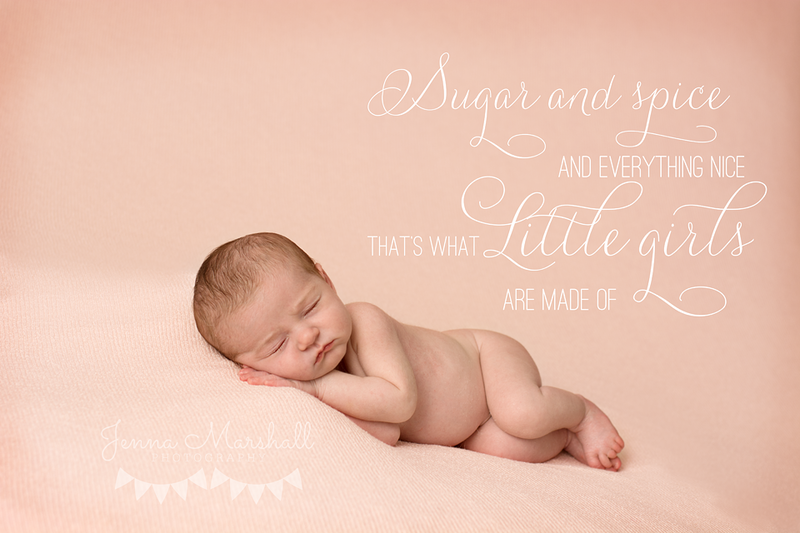 In January I took part in a newborn photography training course and was lucky enough to be trained by Jillian Greenhill. After the training I was very keen to test out my new techniques and skills. Therefore I advertised on my business facebook page for a baby girl aged between 5-12 days old to model for me. I specifically asked for a girl as the last 10 sessions I had done were little boys and I was desperate to try out some new girls props I had bought from Created by Carli. She makes the most beautiful newborn props! Anyhow. I had lots of interest but had to choose just one. So little Emily was chosen. Emily came along for her session with her parents a few weeks ago. 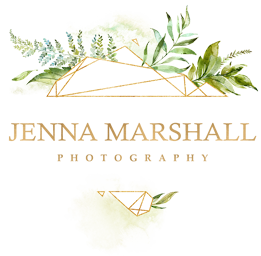 Unfortunately Emily seemed to be feeling under the weather and really would not settle. The only image we managed to get during the session was on her back on my Flokati Rug in a romper. After this image was taken Emily again became very unsettled and we decided to reschedule for a few days later in the hope Emily would be feeling better and easier to settle. The second session started of pretty much the same but after about an hour and a half I managed to settle Emily in to a deep sleep. Once asleep we managed to crack on and got quite a few images. 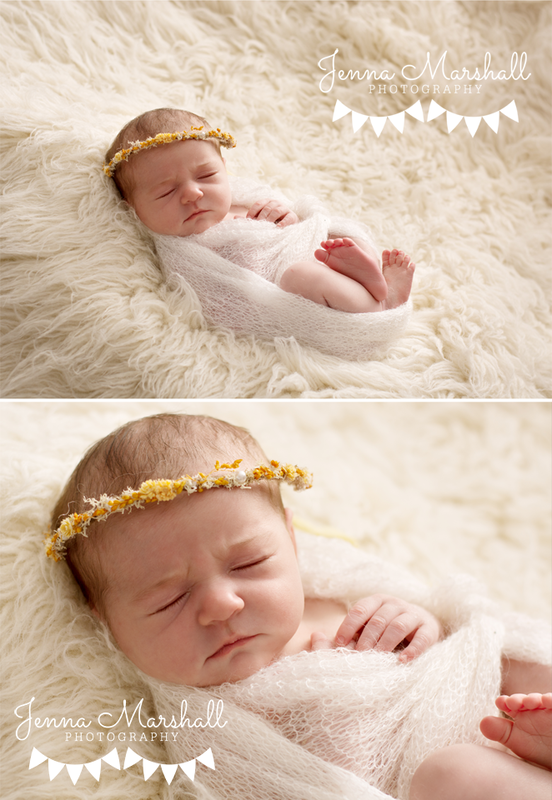 During a newborn model session I aim to get between 10-15 images for the parents and for my portfolio. I managed to get 20 of lovely little Emily. Looking back on the images from this session I am much happier with my lighting. There is always room for improvement though and I believe I will always feel this. I hope I have a very long photography career ahead of me and I plan to learn and evolve throughout the years. 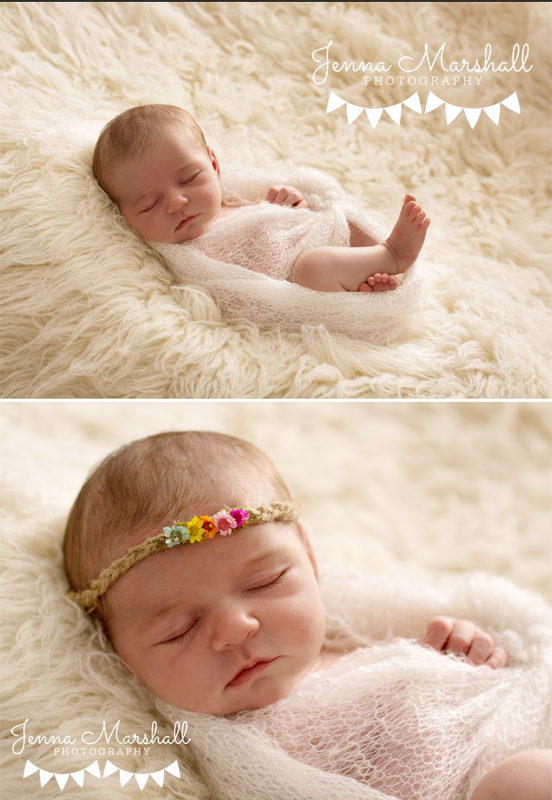 I love these two images below, she looks as though she is pretending to be asleep.